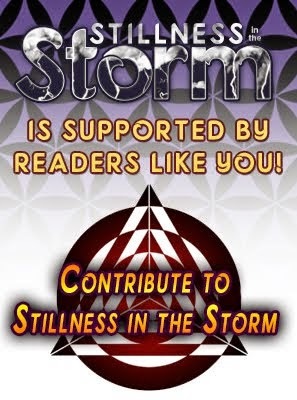 Unfortunately, I didn't have time to interpret the Gaia Portal update from the 22nd, "Dramas unfold as dreamers are rewarded," which can be found here. 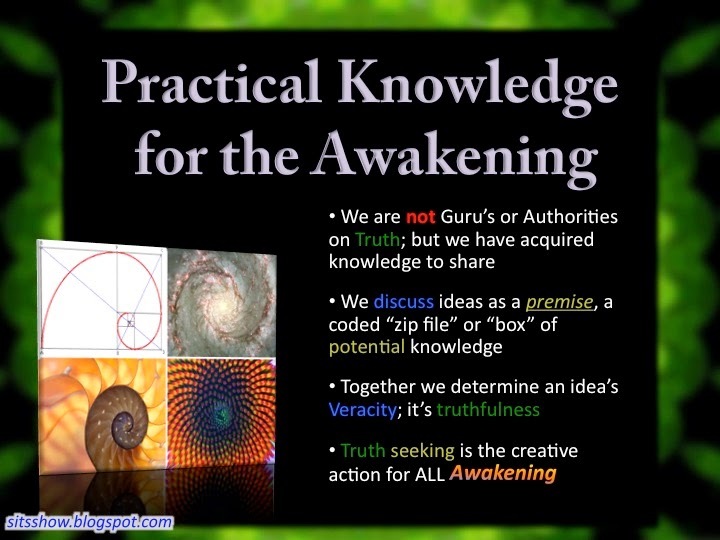 Briefly, it appears to be discussing the dynamics of transformation for individuals that were once lost in ignorance or unawareness, which Gaia Portal defines as hu-manity. The drama and karma of our past will come to the surface even when we choose truth over ignorance, which can be experienced as tumultuous events in one's life. The raw Gaia Portal update is first, followed by my extrapolated meanings in black. Hebridical consignments are distributed for all. 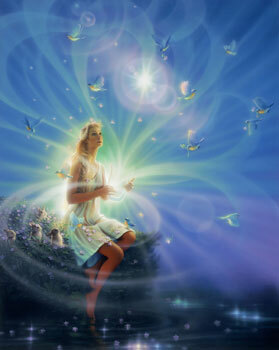 Gaia energetics are aligned and upgraded to next level. Sterilizers for all remaining implants are active. Naturalized themes are now employed with strong result. I do not have an insider or direct source for the meanings below. This is my interpretation of the update, based on extrapolation and contextual usage of the terms. The meanings provided are not the only ones that can be gleaned; in my view, all meanings have value, especially when shared and discussed openly. Please comment below if interested, I'd love to hear other's thoughts on this material. Interpretations: "Hebridical consignments are distributed for all." - The term Hebridical has no standard meaning, but the term strongly resembles a series of barrier islands off the coast of Scottland, the Hebrides. These islands were settled some 8500 years ago, almost 2000 years after the deluge. Michael Tsarion is one such researcher which claims that the peoples who settled in Brittany were druidic in nature and a highly advanced remnant of the Atlantean peoples. The term consignment refers to a batch of goods to be delivered to someone. If we consider the notion that these islands were settled by refugees from Atlantis, then we could think of the people there being consigned to them as a refuge or safe harbor to weather the coming storm. The storm in this case is the tempest of ignorance that would sweep the planet in the coming eons. In other words, a hebridical consignment is a safe place to take refuge from the ignorant masses who create chaos, defined by Gaia Portal updates as hu-manity. Considering that nearly every embodiment on Gaia has been touched by the chaos of hu-manity in some way, these refugees are most likely internally derived, a function of personal transmutation and inner alchemy. For example, when driving in traffic the temptation to vent frustration onto other drivers, for something we define to be idiotic, causes us distress and anxiety, all because we chose to cast judgment based on a dissatisfaction with our experience. Instead, we can choose to be compassionate, realize that other drivers are doing the best they can with what they have to work with, and not take anything personally. In this way, our choice to define the experience as loving and compassionate literally provides calm and emotional stability, a refuge. While mastering this method of definition creation is difficult in our world of preprogrammed meanings, it has the power to change all aspects of our lives, even in those moments when we are harmed by no fault of our own. "Gaia energetics are aligned and upgraded to next level." - This statement is fairly self-explanatory. Continuing on with the theme outlined above, when consciousness feels overwhelmed by experience a subtle act of will can take place wherein an individual chooses not to accept what IS. This choice of rejection is the first cause of trauma because the free will act to reject experience means that consciousness can no longer organize one's data stream into coherent meanings. And the longer this is maintained, the more detached and unsettled the being will be. But since reality is inescapable, the energy of observation still flows inward, except now there is no logical foundation of understanding to ground the energies, which become distorted and blocked creating all manner of negative emotions. In other words, the more we label our experiences as unacceptable, the more trauma we will feel, and the more dominated by reality we will be. The power of choice in this regard cannot be overlooked. Instead of rejecting the truth of what IS, we can choose to accept it, even if only at a surface level, which almost immediately brings the restoration of balance and harmony, a realignment of Gaia energetics. Since Gaia is the oversoul of the planet, anytime we reject what IS we reject Gaia, therefore, when we find the courage to accept what IS, Gaia is allowed to influence that being, upgrading it to the next level of grounding and comprehension. The key to stable emotions and liberation of trauma is first a choice to accept the truth, and second a choice to understand how the truth IS. This underscores the primacy of free will and the ultimate power of a free will act, which may not move the mountain, but the mountain within will be less heavy and easier to bare, eventually feeling weightless in the hands of those who can surf the waves of experience. "Sterilizers for all remaining implants are active." - The notion of an implant has gained popularity of late. COBRA is one such insider which claims that all of humanity has etheric implants that distort perception and lead us away from our dharma or life path. There is also the notion of demons or devils which plague the minds of those lost in the trauma of their lives. In either case, the contextual usage of the term in this statement suggests a deleterious connotation, that these implants are not beneficial. The term sterilizer refers to something that renders microbial life inert or dead, usually via a chemical or high heat process, but here I think the type of sterilization is metaphysical. Following the theme of this update, if we consider that a choice to reject truth creates a blockage within the mind, causing fear, anxiety and trauma, then these would all be emotions that parasitic entities can feed off of. Consider that trauma based mind control targets an individual's fears, devising a method of coercing the individual to perform an action on the basis of avoiding their fear. American citizens were told that Islamic terrorists destroyed the two towers on 9/11, and as a result of fearing that happening again, all manner of draconian legislation was passed. Fear in this example literally allowed a parasitic elite to use the people to achieve their insidious agenda. But there are also etheric beings which apparently consume fearful energy, what has been called Looshe. But since fear is a condition founded on ignorance and rejection of the truth, as outlined above, the choice to receive the truth begins a sterilization process that eventually cuts the food supply off of these parasitic entities or implants. Taking all this into account, this statement suggests as a result of taking refuge in oneself, gaining the courage to accept what IS, we are sterilizing all remaining implants. "Naturalized themes are now employed with strong result." - The term nature etymologically refers to the spirit natur or nectur, suggesting that the themes being employed here are of the spirit. The term spirit engenders many meanings but almost all define spirit as part of the truth. What is spiritual is true, and therefore, what is truth must be spiritual. Therefore, a naturalized theme is a modality of expression that is becoming spiritual, a reflection of truth. Given the preceding statements in this update, as we make the choice to accept the truth, we are taking on a naturalized theme, which is another way of saying we are evolving into who we truly are more completely. Further, these themes are being used now and with a strong result or that they are actually having a profound effect. I think this statement is suggesting that the inner work of truth seeking has more of an effect now than it did in the past. Additionally, mother nature is essentially an aspect of Gaia herself, the unfoldment of her sublime and loving efforts to enfold all life to her. This suggests that Gaia is a being of high origin, possessing a highly spiritualized nature that assists her and all her children on Earth. PS - In December 2014, when Julian and I were discussing the idea of sharing these updates on the blog, he encouraged me to do more than just share the raw post. He said that we could offer our insights into what they could mean and in doing so create a venue for deep discussion and consciousness exploration. There were many times I wasn't sure if others found any value in these interpretations, but Julian and others continued to urge me on in this venture. This is just one example of the countless ways he helped me in my life path, for which I am eternally grateful. I want to dedicate these interpretations to him and his memory. I will love you always Julian, and know, that your zeal for creativity and loving service of others continues on. 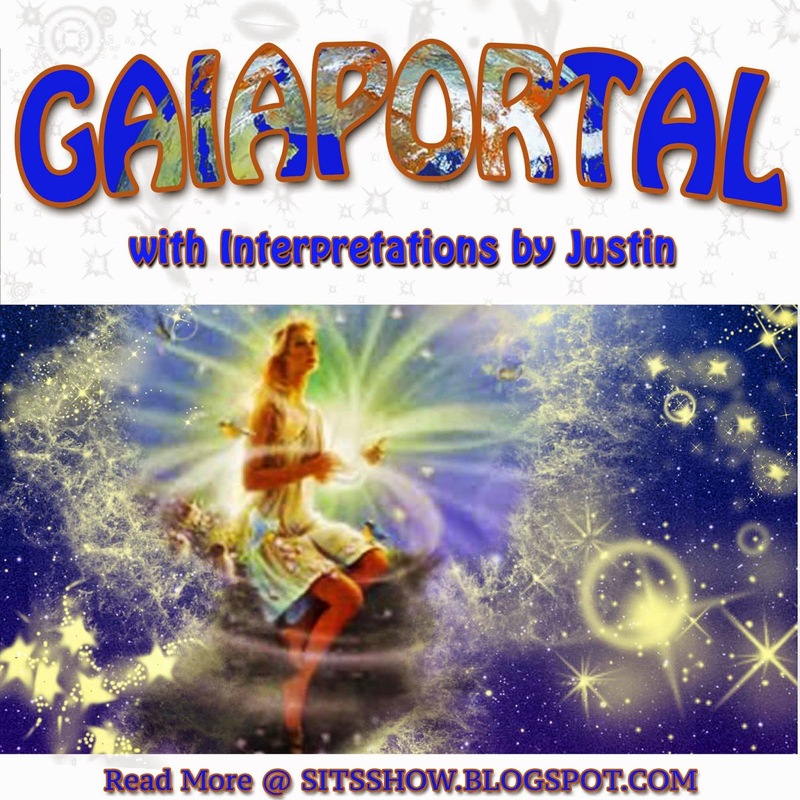 Note about meanings: The meanings offered are my attempt to objectify the Gaia Portal updates, to give them a scientifically supported basis in reality. However, the subjective process of reading the update personally is incredibly valuable, and meanings generated in each respect are not mutually exclusive (in conflict with each other). I suggest reading the update, like a tool for divination as if it was written specifically for you; similar to a psychic reading. Your meanings may not match what I share, but that does not mean one is more 'correct' than another. All meanings have value, depending on the context which is applied to them, all perspectives have a place within the whole of what IS, and therefore can be part of an exploration of one's self. Our perspective is intimately connected to all others.